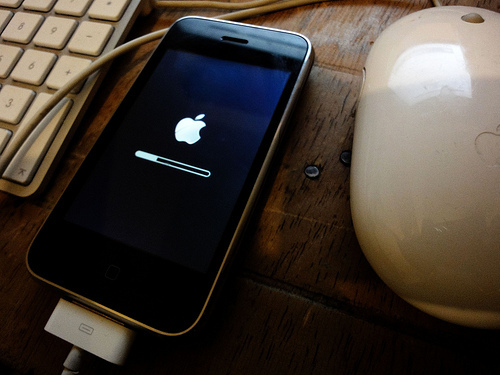 iOS 4.0.1/4.1 Firmware Update Delayed So Apple Can Patch Jailbreak Vulnerabilities? Redmond Pie brings word of an Apple Store employee, working in the Lakeside branch in England, who has indicated that Apple is intentionally holding back the release of its newest firmware to patch security holes in its software that are enabling iPhone 4 owners to jailbreak their device. The release of iOS 4.0.1/4.1 will be rushed out to iPhone owners in an attempt to fix signal issues caused by Apple’s calculation of signal strength on the device. Currently, all iPhone devices are over-reporting the signal strength available in its surrounding area, a flaw in Apple’s implementation. To remedy this, the firmware update will employ AT&T’s method to calculate signal strength, although analysts and customers suggest signal issues are a fundamental flaw in the iPhone 4’s design, not its software. Traditionally Apple patches existing holes in its operating system with each firmware release, requiring the jailbreaking community to work out new ways to gain root access to their iPhones. The news could be entirely true, it makes sense for Apple to patch existing flaws in iOS4 to restrict users from unlocking phones to operate on a rival network, after-all Apple still has an exclusive agreement with AT&T. On the other hand, Apple hasn’t once declared an official release date for the firmware update, pushing back a date that had previously been non-existent is just pure speculation. Would a UK-based Apple Store employee be one of the only people to know this information? (I live 20 minutes from the store, I’m tempted to ask in person.) We don’t know. Expect the firmware update to drop soon, regardless of delays, then we can assess the real damage. Read next: Can't wait for Facebook's place recommendations? Rummble has an answer now.